A Reporter Reflects On Rwanda: 'It's Like A Madness Took Over' : Parallels NPR's Jackie Northam was a freelance reporter based in Kenya when the Rwandan genocide erupted. In this essay, she recalls covering those terrible events and trying to make sense of them afterward. A Rwandan woman collapses with her baby on her back on the road near Goma, Zaire, in 1994. Many Rwandans fled across the border into what was then Zaire, now known as the Democratic Republic of Congo. There was a thin mist in the early morning air when we set off for the Rwandan capital, Kigali, on April 11, 1994. The genocide had begun four days earlier. There were no flights into the country, so I and three fellow journalists crossed into Rwanda from neighboring Burundi, hitching a ride with a French priest who was shuttling Tutsi nuns out of the country. He took us to the town of Butare, where a Belgian inn keeper rented us an old cream-colored Renault and drew us a map of how to get to Kigali. We drove north, winding our way through Rwanda's soaring hills and deep lush valleys. Our progress was soon slowed to a crawl by thousands and thousands of terrified Rwandans, fleeing — in almost complete silence — in the opposite direction, away from Kigali. NPR's Jackie Northam reporting from Rwanda during the country's genocide in 1994. They were carrying whatever they could on their heads, their backs and in wheelbarrows. As we got closer to Kigali, we began to see deep pools of blood. There were discarded machetes, and bodies crumpled on the side of the road, their limbs hacked off. We came to a checkpoint manned by a half-dozen Hutu militiamen, drunk and carrying machetes. They surrounded our car. One demanded my passport — he accused me of being Belgian, the colonial power that had kept the majority Hutu down. He pressed his machete sideways across my neck. I could smell the alcohol on his breath as I tried to grab my Canadian passport from the front pocket of my jean shirt. It felt like forever, but finally my hands stopped shaking long enough to undo the button. I showed him my passport; we passed the roadblock and made our way to the Hotel des Mille Collines — also known as the Hotel Rwanda. I came to realize how lucky my escape was that day as I reported on the systematic butchery over the next three months. Hundreds of thousands of people were killed in their sleep, trying to hide or seeking solace in a church. They were burned and bludgeoned and hacked to death. Across Rwanda, towns emptied out, shops were looted and houses abandoned. Wild dogs roamed the streets feasting on corpses. You couldn't escape the smell of death. Every day I woke up thinking things couldn't get worse, but they did. 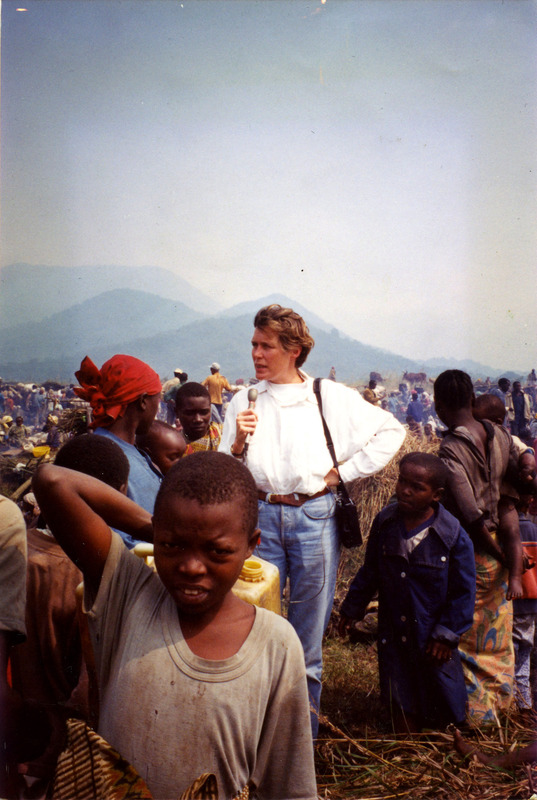 Even now, two decades later, images of my time in Rwanda will spring up. I see blood splatters on the walls of a church, with the bodies of hundreds of dead scattered on the floor. There's the Canadian general, Romeo Dallaire, the head of the U.N.'s mission to Rwanda, tense and pacing outside the small U.N. compound in the capital. He had begged the world to help stop the genocide, but he was ignored. 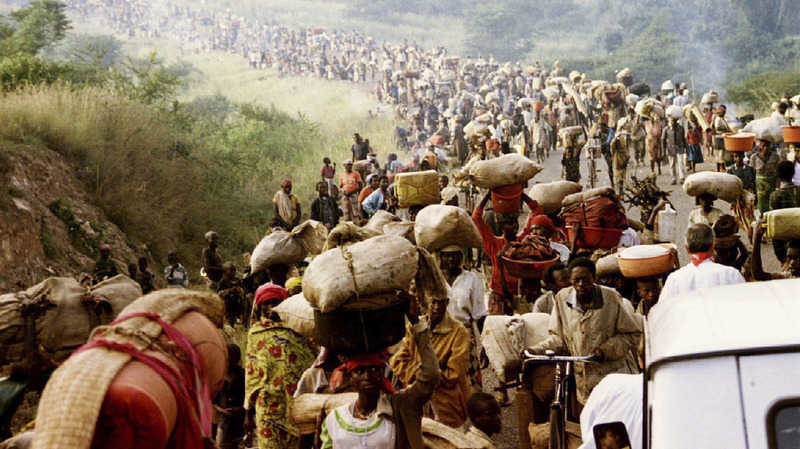 Rwandan refugees cross the border into Tanzania on May 30, 1994. And then there was the Hutu man I talked with several months after the genocide ended. Fat and middle-aged, he was in jail for beating to death more than a dozen of his Tutsi neighbors. He told me they were people he'd been friends with and regularly shared dinner with. He was a godfather to one of the children he killed. He couldn't explain why; he said didn't know what came over him. For me, this sums up the Rwanda genocide. It's like a madness took over the country, turning otherwise normal, reasonable, loving people into monsters. It took me a long time afterward to try to make sense of what I had witnessed. But I finally concluded there was no use trying. I believe mankind, at its base, is good. 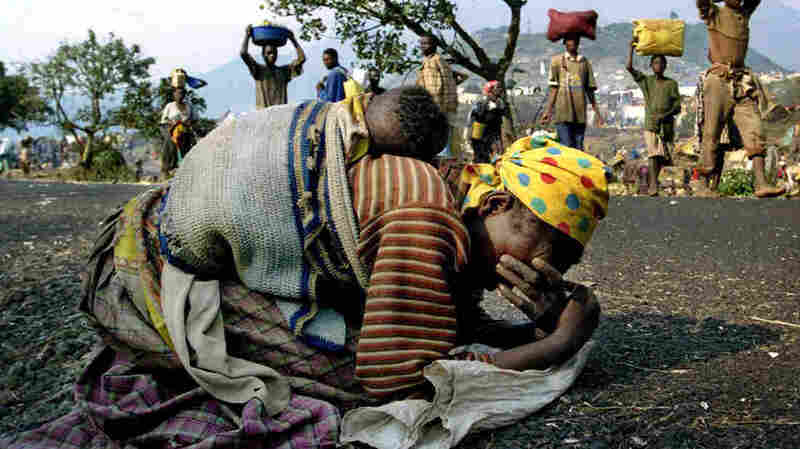 What happened in Rwanda 20 years ago was an aberration. Jackie Northam is NPR's international affairs correspondent.